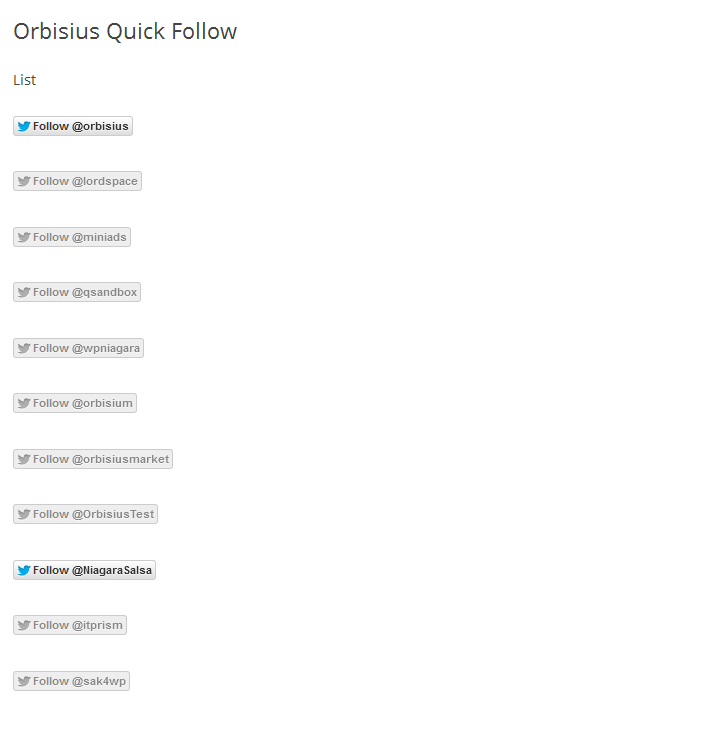 This plugin generates quick follow buttons for many twitter accounts. Useful when you write an article about influencers that you want your readers to follow. 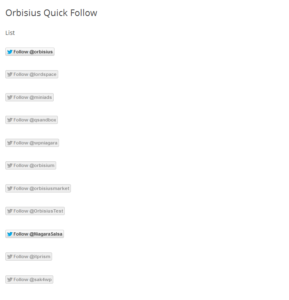 * Create unlimited follow lists per page or in multiple different posts/pages. All you need to do is paste this shortcode in a page/post. Make sure include every twitter account (one per line). 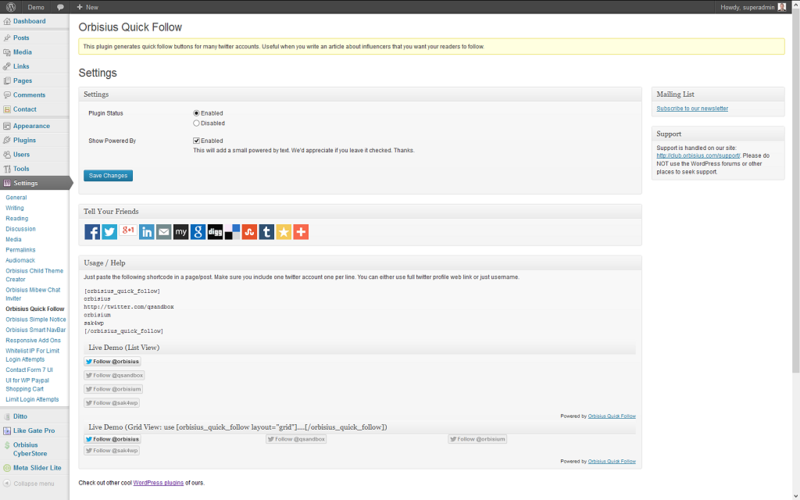 You can either use full twitter profile web link or just username.